First and foremost, the images of each pages of manga are from the website Mangafever.me, so credits to them. I actually owns the entire volume of Gakuen Alice from volume 1 to 32 in my own language, but is too lazy to scan them all by myself. 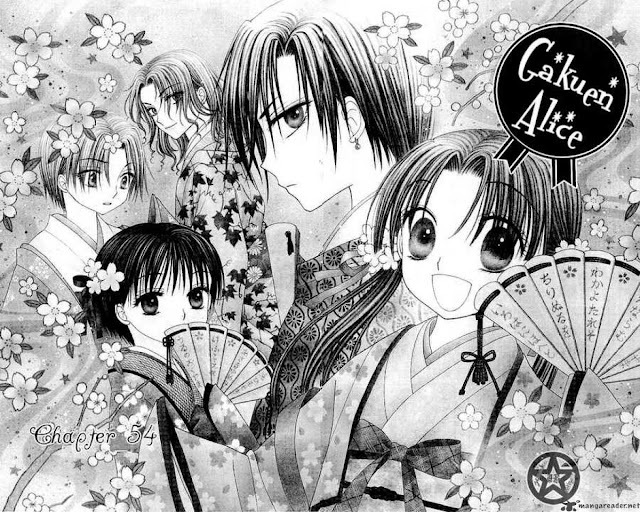 Gakuen Alice is my personal favourite, my all-time best, and there is nothing I want to shower but praise to this godsend of a manga series. However, while reviewing this, I shall try to keep my personal taste in mind and be as critical as I could be. And of course, as spoiler-free as possible, though it might be hard to do so, and alas, you have been warned of a spoiler-alert in this paragraph. Comedy, check. Drama, check. Character development, check. Romantic progression, check. And this comes from a manga that was originally created and marketed just for laughs, as apparent from volume 1-5. However, despite the cheerful and comedic setting of the manga, even as early as volume 2 has already planted the seeds for dramatic purposes that will eventually be realized in the later volumes. However, by the time it came out, one could not stop but wonder how this manga series is attempting to mimic a particular wizardy school. Thankfully that approach was abandoned as the series progresses. 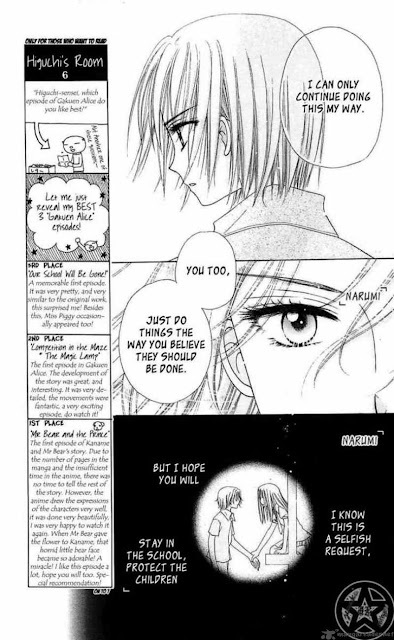 The manga opens with Mikan Sakura trying to stop Hotaru hopelessly from transferring to the Alice Academy. However, she was powerless as Hotaru was actually trying to save the school Mikan enrolled in the countryside, and thus, Mikan decides to follow Hotaru to that academy and meet her once again. Her objective sounds totally idiotic, but it is the drive that keeps her motivated all the time, wanting to see her best friend once again. And the main theme of the manga, for the entirety of it’s run, is the importance of friendship to everyone. At first, early volumes focuses on how Mikan and Hotaru interacted with each other in the academy, all while several comedic routines and goofing off happened at chapters after chapters. While it is focused on becoming a comedy series, there is a hint of seriousness planted in several chapters, most obvious on the whole volume 3, where Natsume, the male lead was kidnapped and Mikan seeks to save him. This only lasted for a volume, but it shows how the tone immediately shifts. And several more comedy-focused volumes later, we come to volume 6, where the comedy was nowhere to be found and the manga goes full-blown action-like drama, where Mikan is trying to save her best friend. This whole arc focuses for an entire 3 volumes before it is finally resolved. Oh, and the author didn’t even hesitate to kill off a side character that was made for this arc and has finally gained the trust of both the reader and the cast. It was a shock to behold, and of course, a precursor of what to come. The manga starts off goofing around from volume 1-5. I don’t know whether it was Higuchi Tachibana’s storytelling prowess or the kind of write-as-you-go-along, but she displayed a masterclass story-telling in each and passing chapters, hiding all of the necessary details behind all the comedy antics and routine, it was a spectacle to behold, or more precisely, to read. The author tried to return the series back to it’s roots, judging by the return of several setting such as the Central Town and the sorts, however, despite the comedy return, it could no longer contain the comedy as the dramatic tension would soon gave rise and, finally, paved way for a shift in tone, from a comedy to a drama, and lastly, tragic drama. This new approach of tragic drama was really remarkable if I do say so myself. 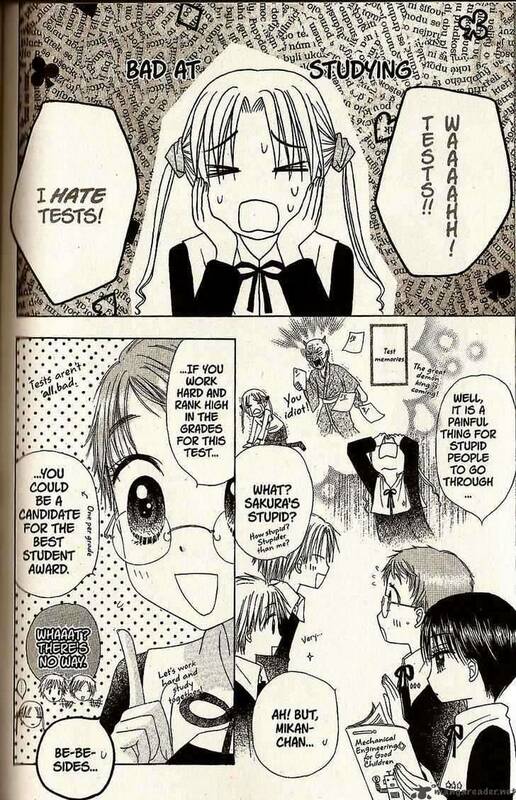 In my previous article, I mentioned how a shift in tone could change a series entirely and actually put Gakuen Alice as an example, and through this shift in tone, Gakuen Alice is changed forever. 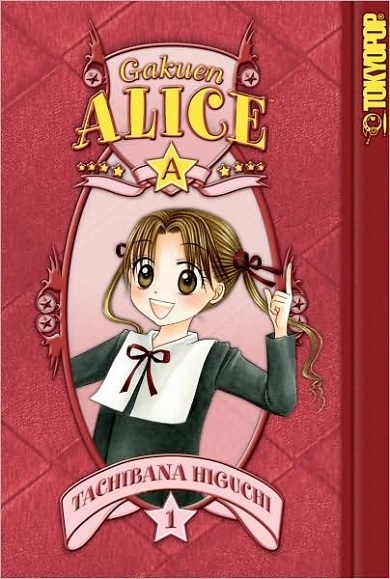 There is literally no way that people, who read Gakuen Alice from start to finish, remember Gakuen Alice as a comedy series as they would surely remember it as a tragic drama. The comedy was later abandoned to a focus of a more drama-driven story. Each plot would give rise to a new conflict, and before it was resolved, another conflict come and goes, before everything was partially resolved, albeit tragically. I was speechless whenever the conflict was resolved. Truly a writing masterclass there by Higuchi Tachibana. The best arc that the manga has to offer is arguably the Time Travel Arc, where Mikan and company are travelling through time and visited the past of her mother, where we learn the hardship and suffering that she has to go through before finally having to part with Mikan. It was painful, yet it truly builds the character of her mother perfectly. And she was so embedded to me that when the twist happened, I couldn’t stop the tears flowing from my eyes, despite the fact that I re-read the series just to review the manga. Time travel arc lets us know how awesome Yuka is. Speaking of characters, there are four main characters in this series, Mikan Sakura, Hotaru Imai, Natsume Hyuga, and Luca Nogi. Mikan is the main character and the central character, where the story revolves around her. When I say revolves around her, it truly revolves around her, where the story only moves if she gets involved and how people wanted to use her for their own ends. Her characterization was one of the best I have ever seen, as she matures as the series progresses. Once a childish girl who thinks of nothing but playing around, by the time the series is nearing it’s climax, her character has matured into that of a strong girl who is no longer reliant to others and instead, help others. Well, she is reliant since her power is useless, but in terms of character, she is the one who built the character of others. Next is Hotaru Imai, my favourite character. Ever since she debuted, I know that there is something special on her, and yes, she showed a tsundere-like behavior where she constantly tortures Mikan, but secretly cares for her. She wished Mikan to always smile, even at the most dire of times, which is the thing that helped Mikan endure all the hardship that comes to her. And I also liked the fact that the author never forgot her special ability to procure useful gadgets at certain times, and the author even used that ability for several sticky situations, which helped her character to not being classified as useless. She can fight with her invention, mind you. Then there’s Natsume and Luca. 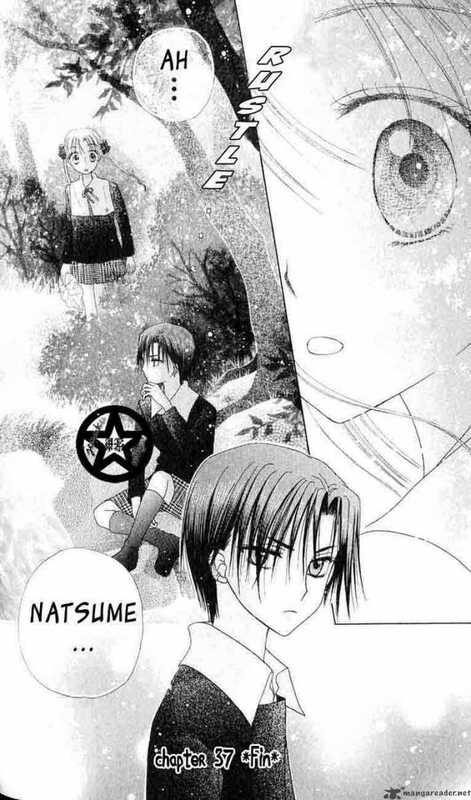 While Luca is nothing special, as he is just there for the sake of being there at times, Natsume is the most developed character in the series, aside from Mikan. While never discarding his sinister nature, he developed a caring personality for others and has his own way to deal with things, which makes him all the more popular to the audience. No wonder he kept netting the top spot at every character poll. Oh, another thing I liked from the characters is the fact that the author has this tendency of rehashing several side characters into spotlight. The prime example of this is Mr. Bear, who was originally treated as a side character with violent tendency, especially towards Mikan. 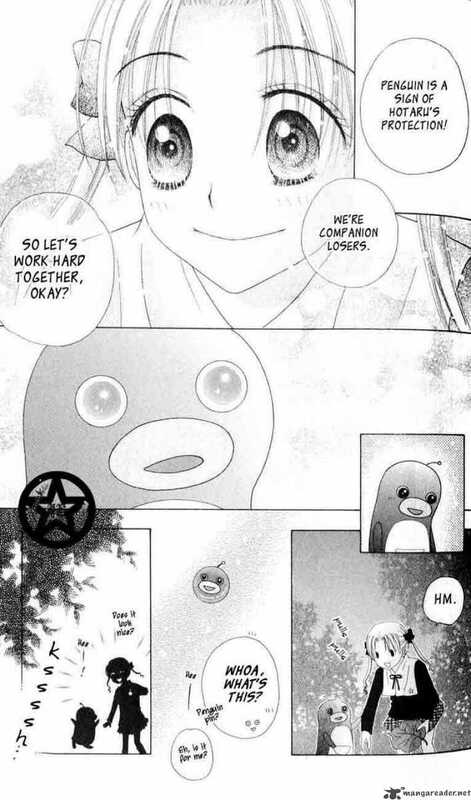 However, as the series progressed, this particular teddy bear became a valuable ally to Mikan and at certain point, so attached to Mikan that it refused to part with her. It was a moment for this side character that I could never forget. There are plenty of characters in this series, so much that perhaps not everyone got their limelight. However, at least they served a purpose I think. As usual, whe speaking of characters, I’ll just limit myself to the main cast and several side characters. While the main cast is awesome, the side character is just equally awesome as well. Despite the praises that I showered to this manga series, there are dozens of complaints that go along the way too. Nothing in this world is perfect, and it is for this manga as well. First and foremost is the design of characters. While the author tried hard to differentiate each characters, I couldn’t help but notice similiarity in several characters, especially in earlier volumes. Some characters would resemble another, which makes it very hard to tell who’s who at first. And secondly, and this is perhaps the biggest of my complaint, is their age. Mikan and company are still at elementary grades and is still around 12-13 years old. Thrusting them in such a complicated storytelling raises a question or two regarding morality, in my opinion. 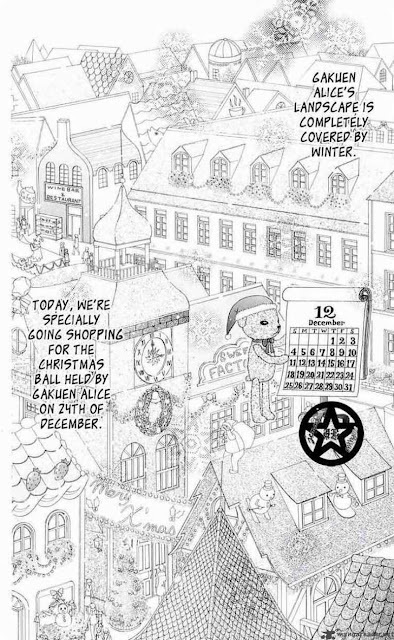 Sure, this is a manga series, where anything happens, but I just couldn’t help but notice this feeling that it is more proper that if they are at least on either middle or high school, instead of just still in elementary school. Even the newer characters introduced for the newer arcs are either in high schools or are already an adult, so… Yeah, there you have it. Last but not least, sometimes they [The kids] just looked like they're adults already. Their age was a bit questionable to be honest. And also, people might found it too complicated to swallow, as several dialogues are too long that the balloon to hold them are not wide enough, and therefore, forcing the text to be put into a very small fonts. I liked the drawing style, as the manga focuses not only drawing a highly detailed expression and character design, it also focuses on delivering a beautiful background scenery that is totally a bliss to look at. I was in awe on how much details was put on the background, such as lamps, furnitures, and even leaves. The great effort put on drawing the background was great. If there’s anything I don’t like from the style is the fact that the manga has a hard time rendering a wound, opting to just use a simple saturation on the face or body, or even clothing, with bloods to signify that the character is hurt badly. And the worst example has to be Persona’s power. His alice is called the “Corrosion” alice and is used to corrode things badly until it dies, and when someone is affected by it, the manga opted to just either brushed the affected body with black saturations or just blackens it completely. It looks pretty bad and lazy in my opinion. And lastly, the volume length of the series, which is just over 31, suggested that the series is pretty succesfull enough in Japan that the magazine greatly supported it up from start to finish. All in all, Gakuen Alice is a terrific manga series masterfully authored by Higuchi Tachibana, who knows what to do and what to expect from the manga. It starts off very light and funny, but slowly alters it’s own genre and, in the process, rends the heart of those who read it. It is a mixture of thrilling and fantastic ride, where the ride is bumpy, but leads to a very great destination. There are several flawed things, but those trivial things could not hold back this great manga series from being so awesome. This manga is highly reccomendable to those who seeks an emotionally wild-ride, but at the same time, can stomach the complicated settings and backstory it holds. Casual manga reader could read this series, but it is not advised, as they might found themselves scratching their head by the time they read volume 6. 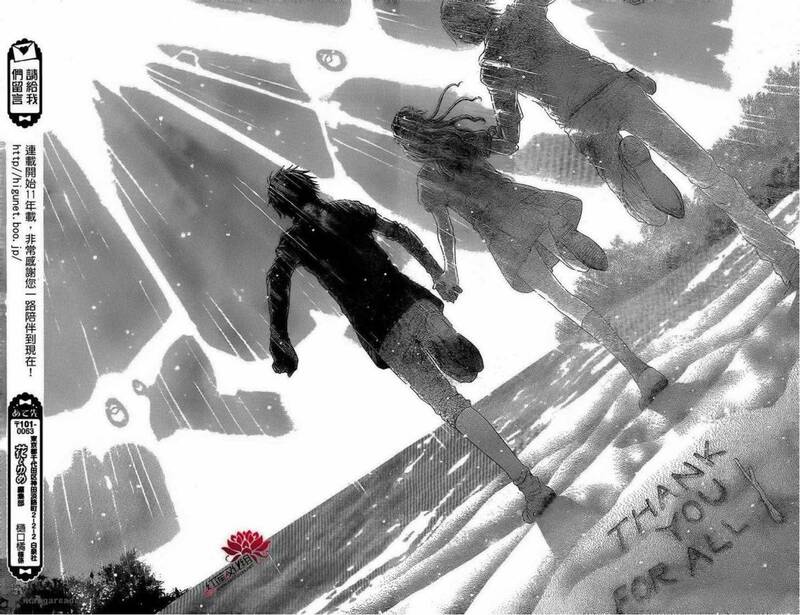 Such a great manga series… Thanks for the ride. After re-reading it, I could not help myself but wonder what’s next in store for Higuchi Tachibana. Hopefully, that spin-off of this series would be reelased in my country, but I am not crossing my fingers. The Good : Tragic drama tension somehow intensifies the series. Wonderfull story-telling which paid off long-term. Phenomenal character development. Beautiful backgrounds. Utilizing the cast fairly. Setting is unique. Tremendously-done plot twist that might caught people by surprise. The Bad : The main characters’ age does not seem to fit the dramatic tension for some reason. Several characters look the same, save for several intricate details to help differentiate them. Texts are sometimes too long and too much. The style of implying wound is bad. Highlight moment : Time-travelling Arc. Z-infiltration Arc. Final Score : 5 out of 5. Even it’s many flaws cannot undo it’s masterclass writing. I don’t think there’s any manga that can top this series for me. Oh, and this is the first time I handed a series a perfect score. All good things must come to an end, and than you for this wonderful series.